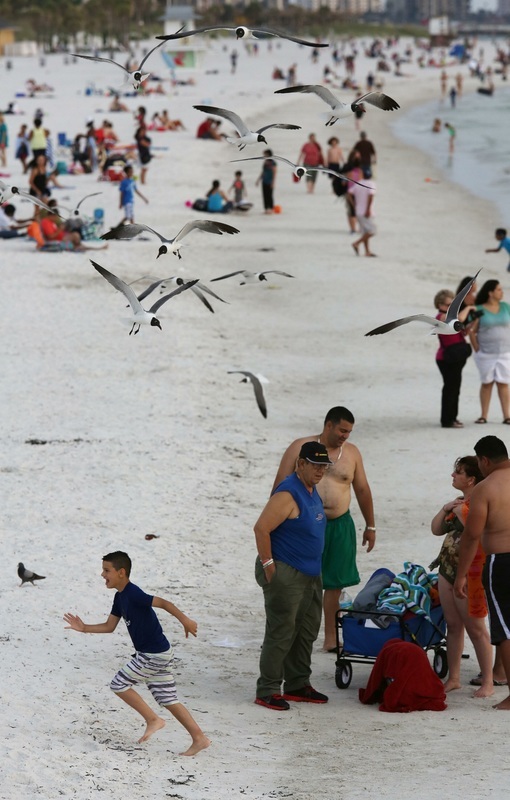 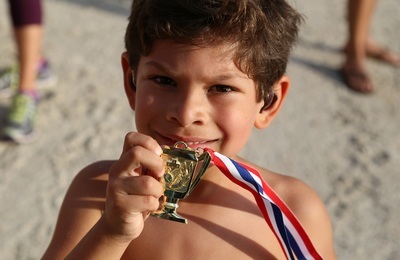 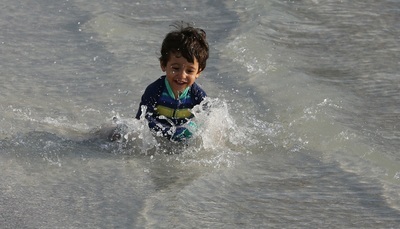 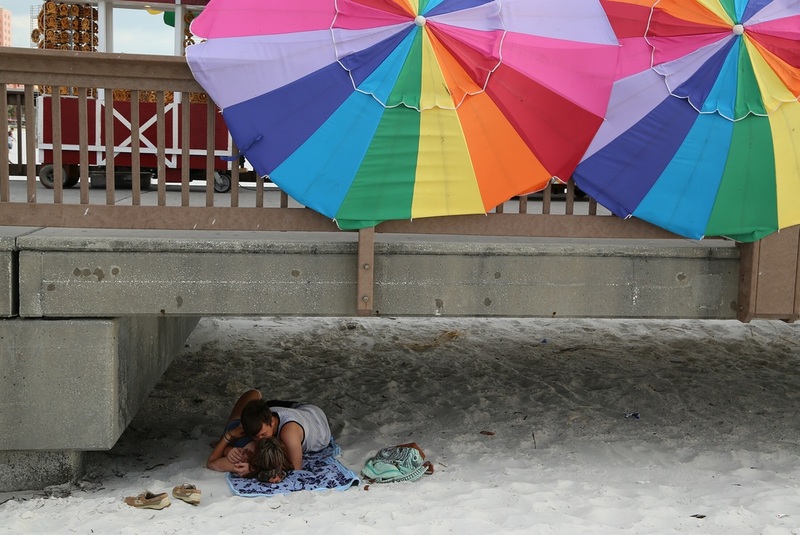 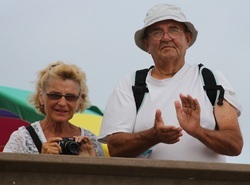 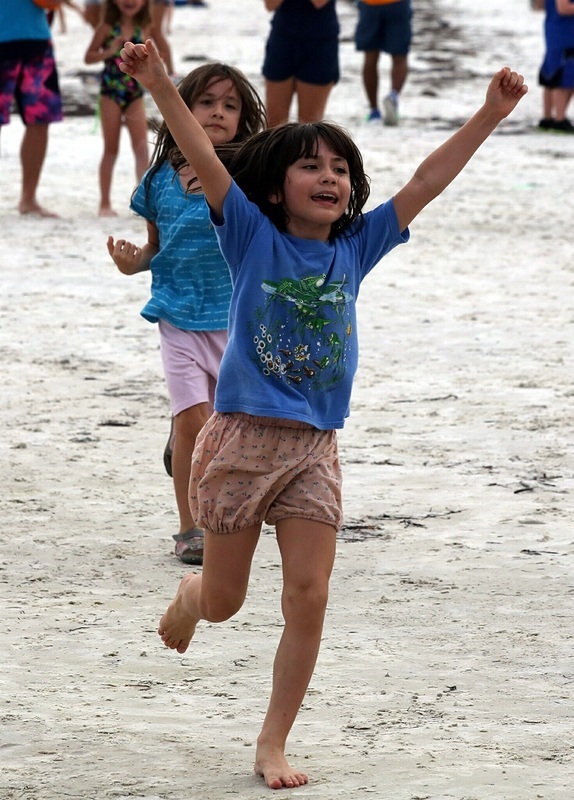 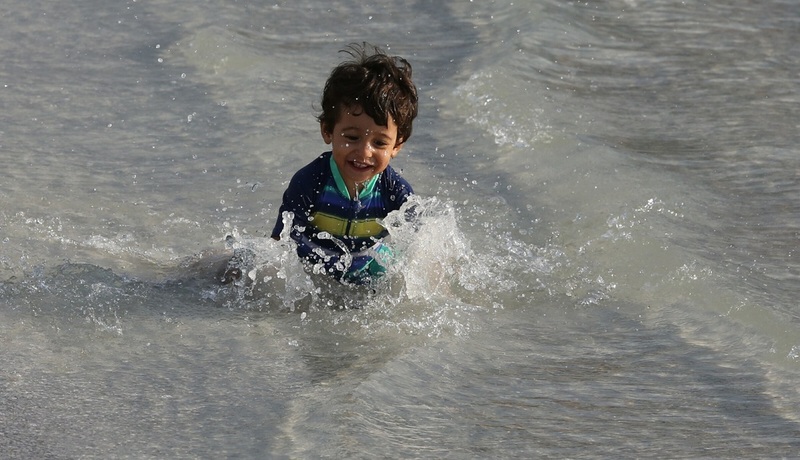 Mommy & daddy win last beach race. 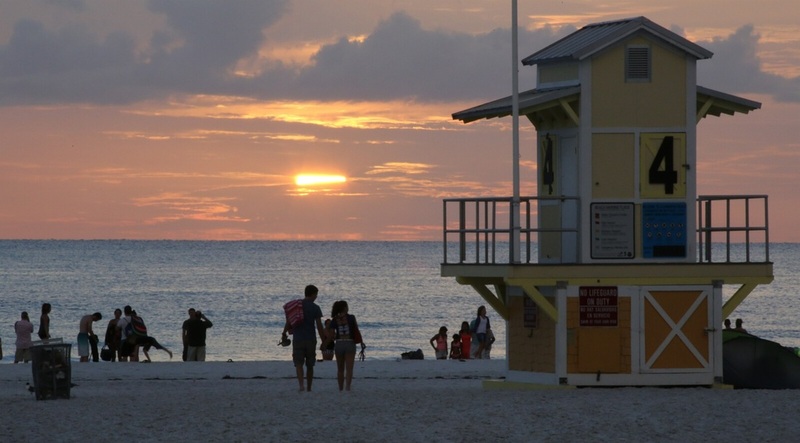 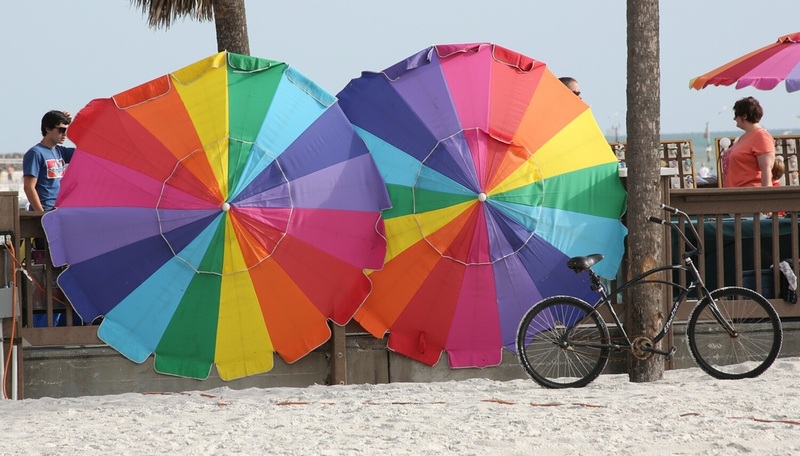 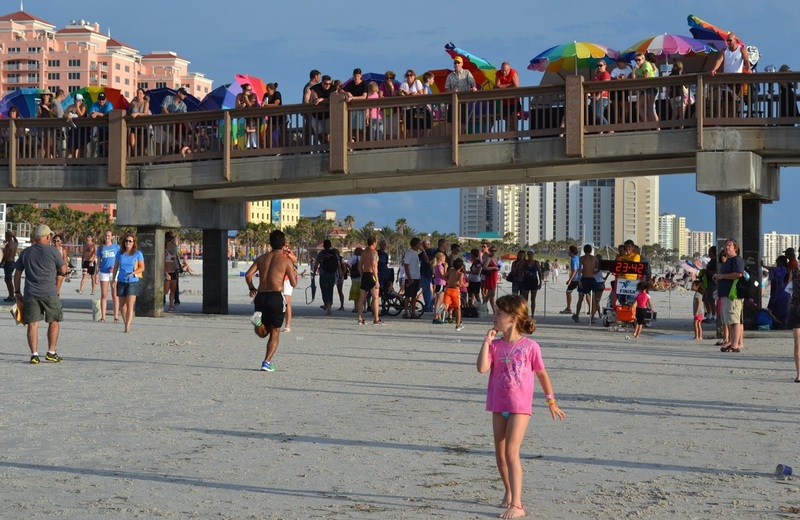 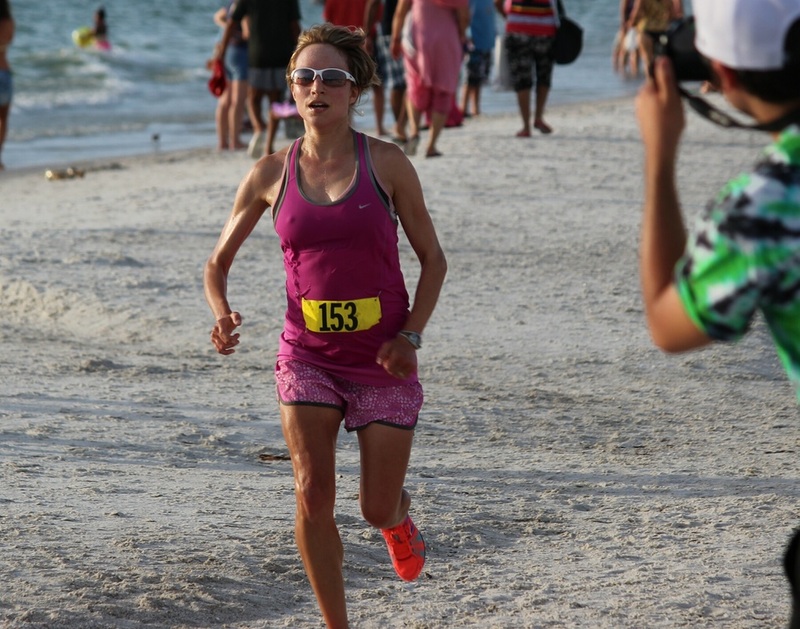 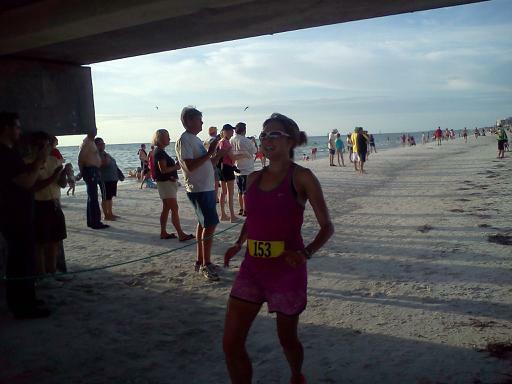 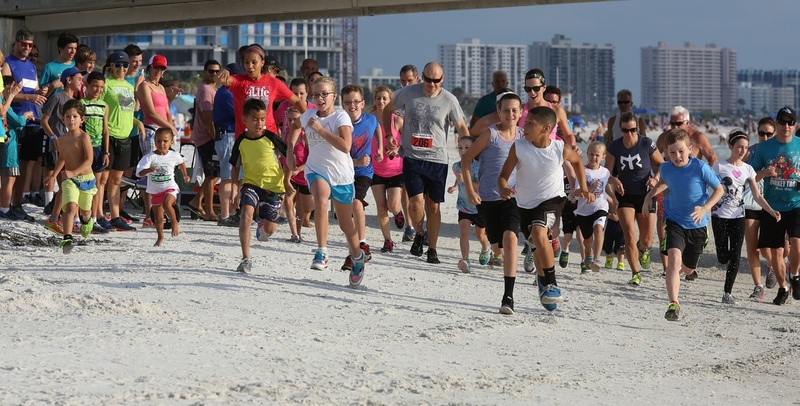 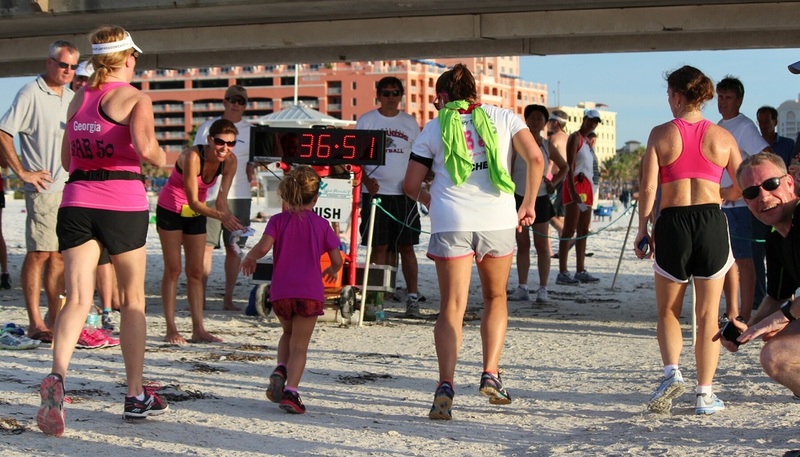 Clearwater, Aug 2; In her 1st race after giving birth to baby Adriel on June 21, Christa Stephens (29) was the overall female at the Pier 60 summer beach race #4 at Clearwater Beach Friday night. 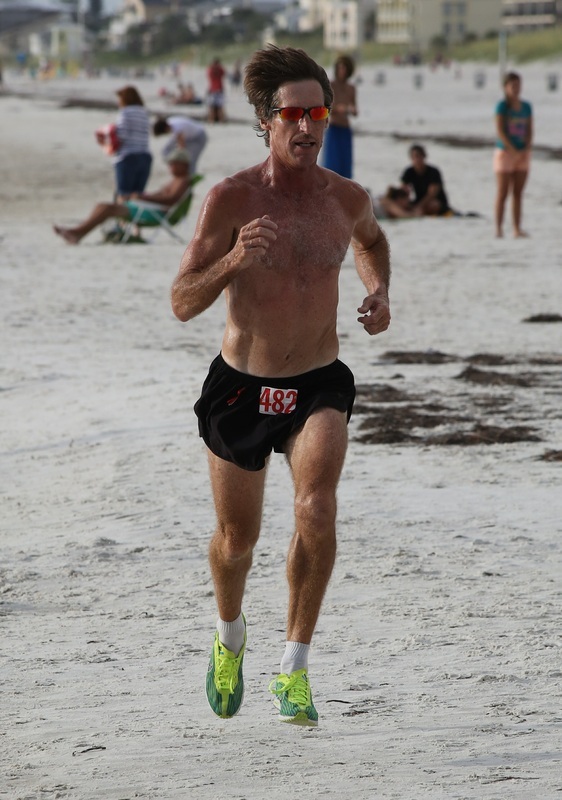 Her winning time was 20:50 Husband Lee Stephens (33) was the overall male in a blistering 17:12. 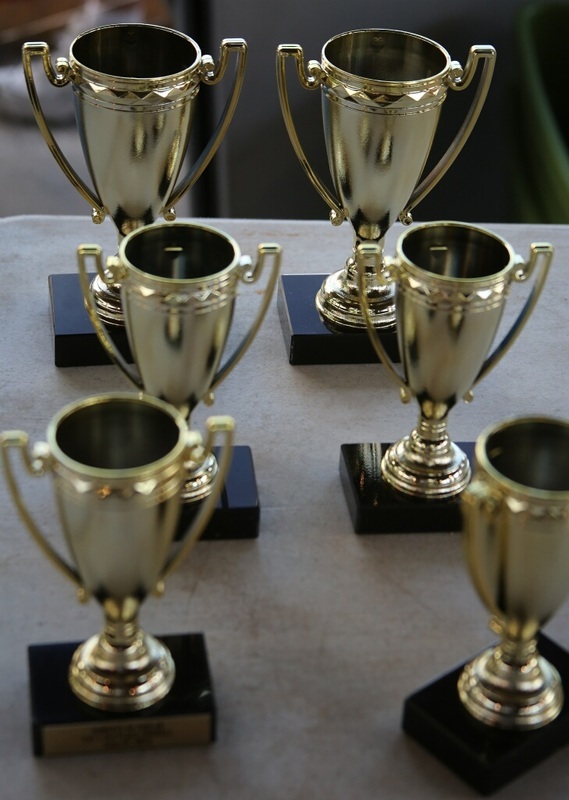 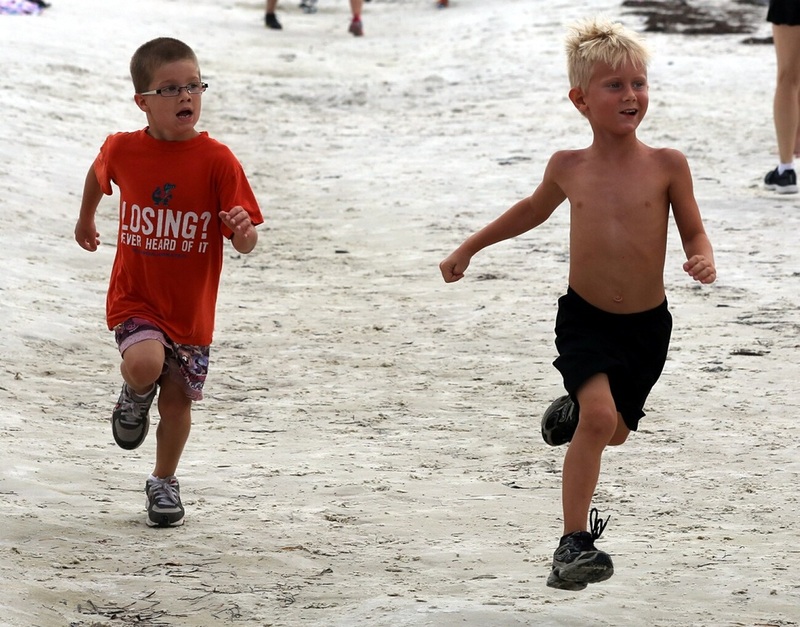 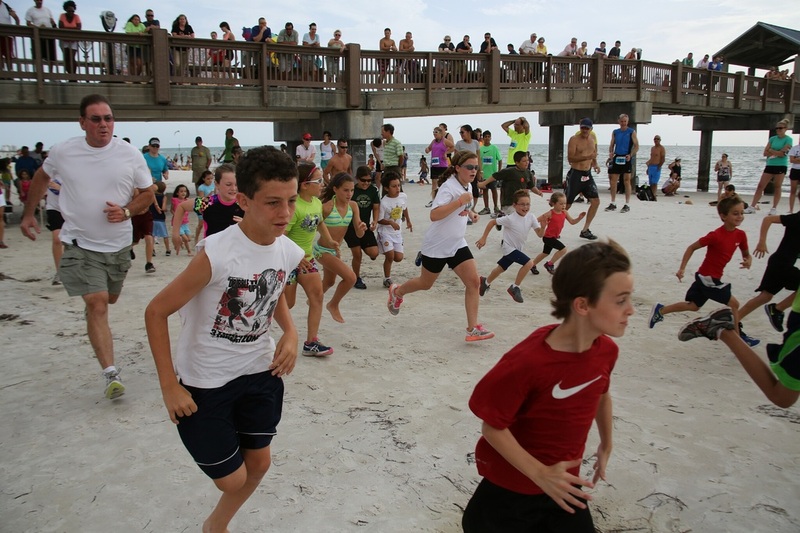 The race was the final one of this summer and had 358 finishers. 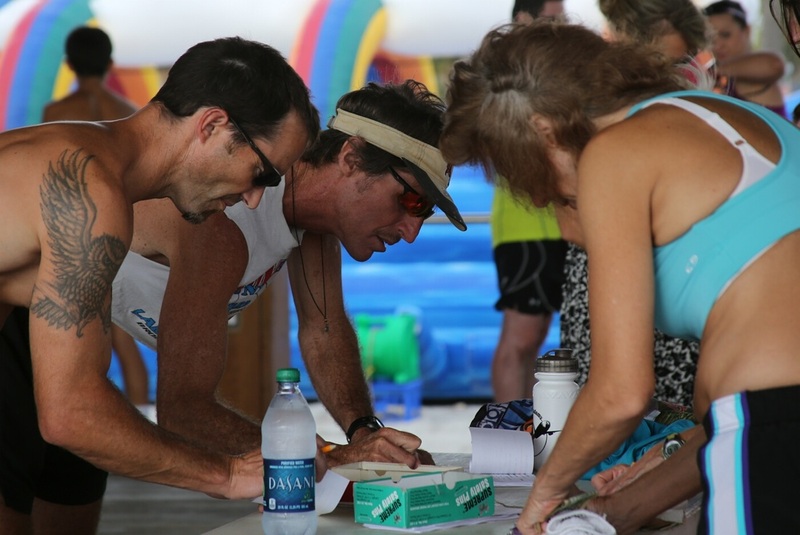 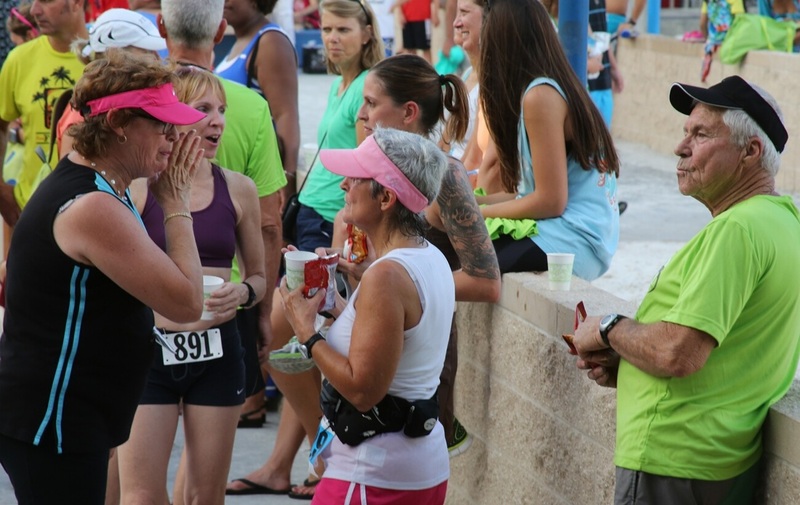 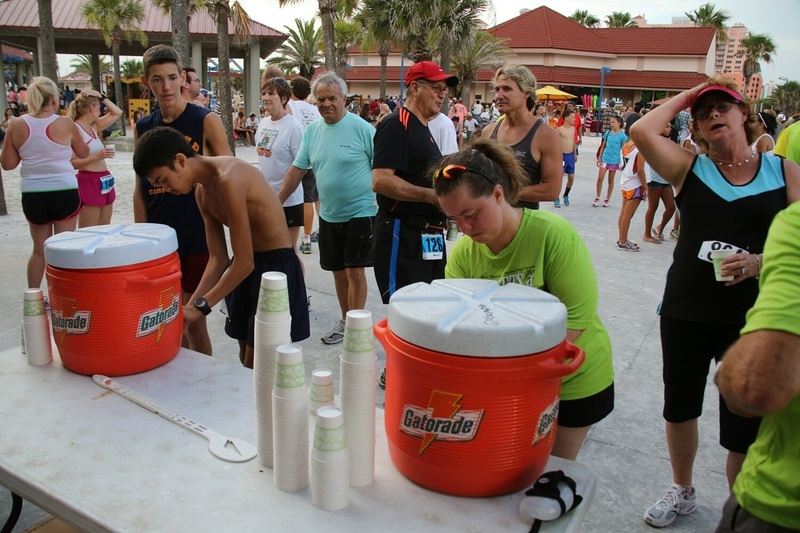 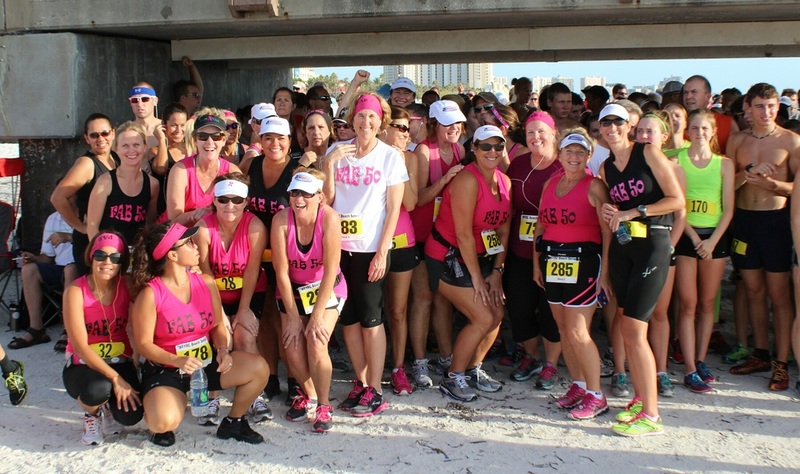 All 4 races together attracted 1346 runners, an all time high in the 35 year history of the West Florida Y Runners Club. 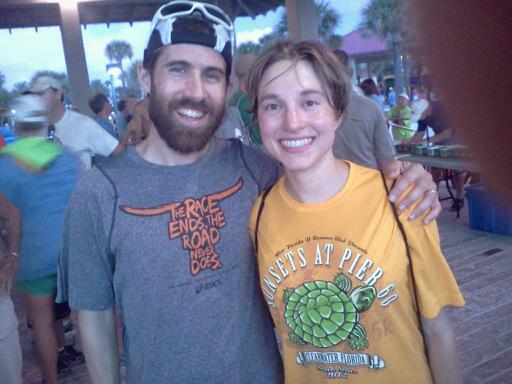 Winner of the entire series (all 4 races) are Joe Thiede and Brianna Paczynski. 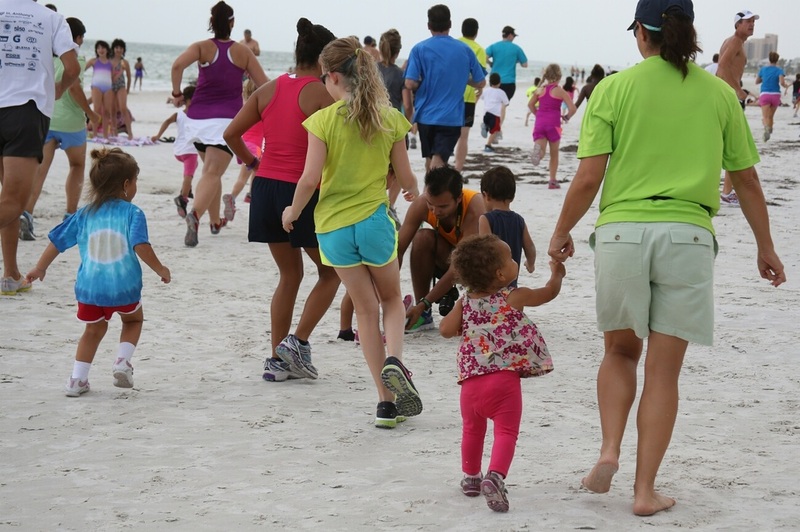 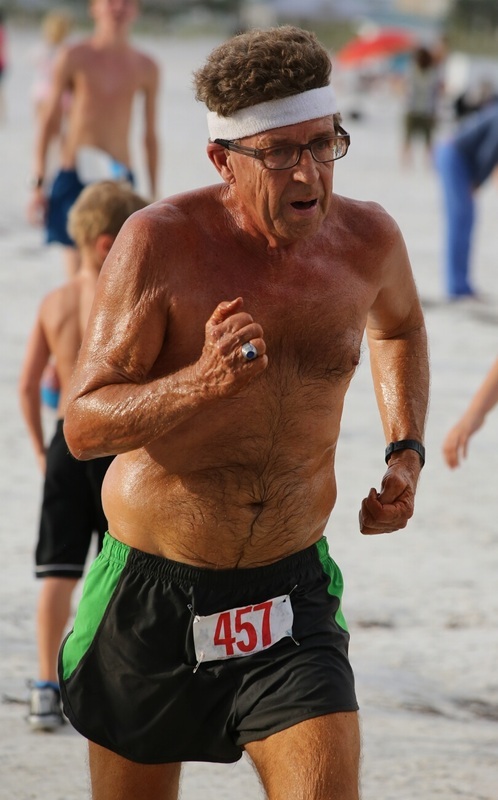 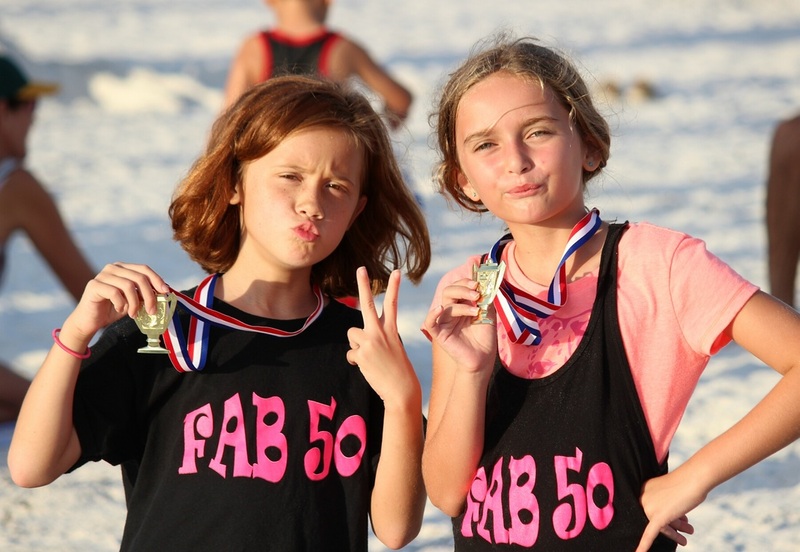 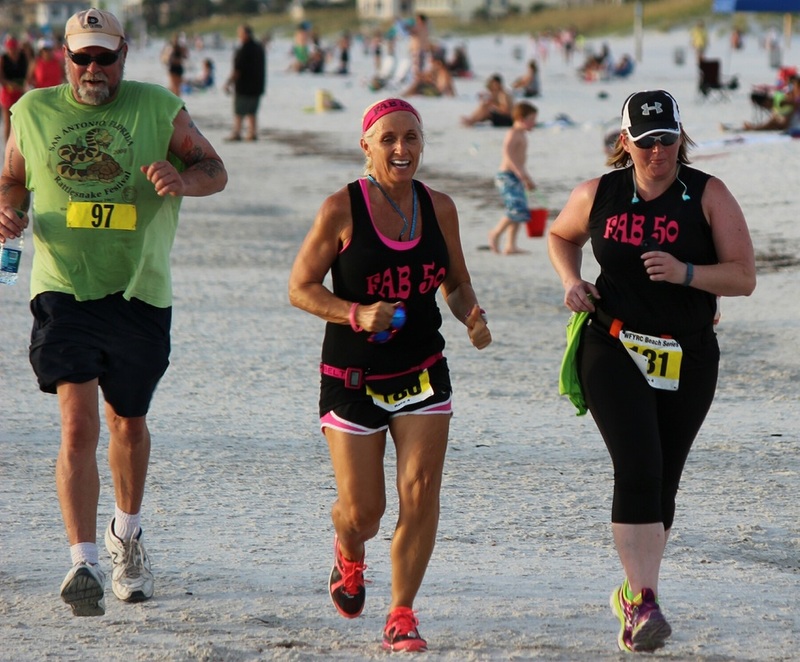 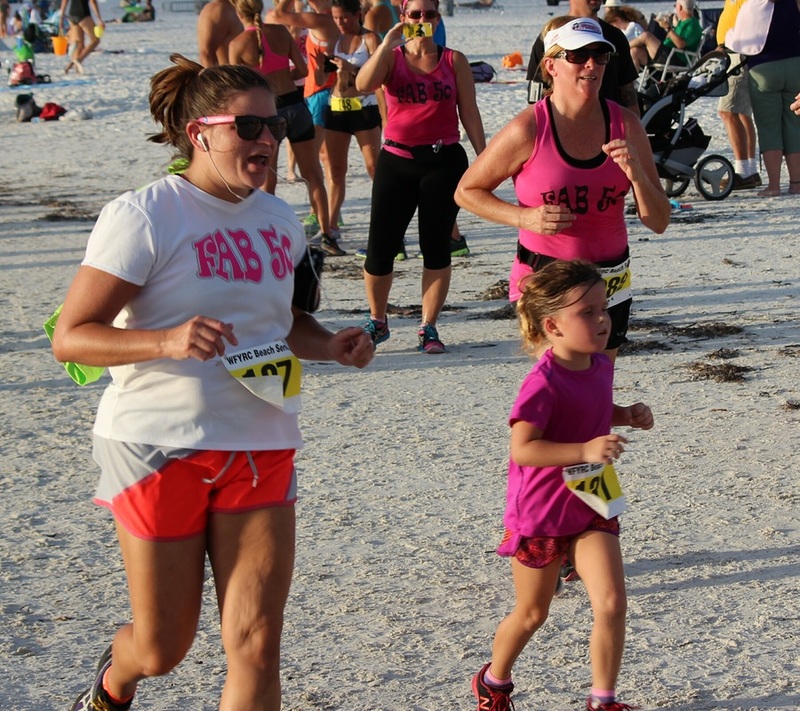 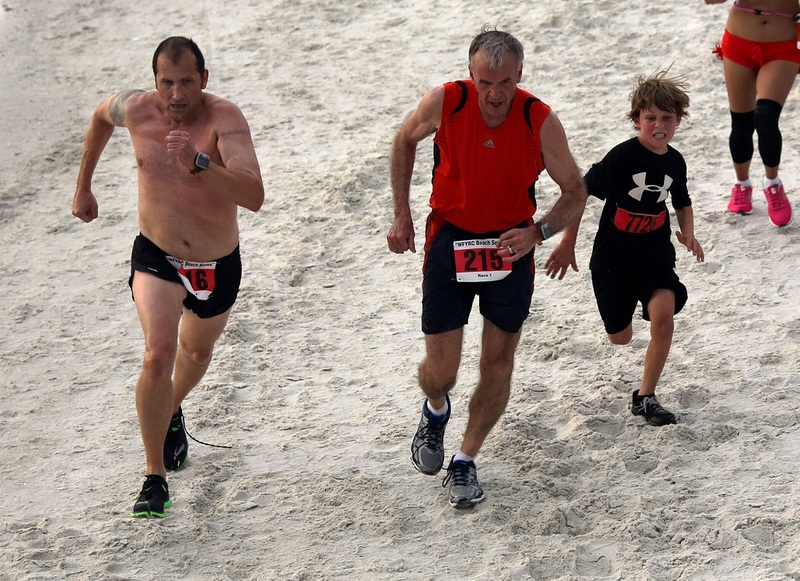 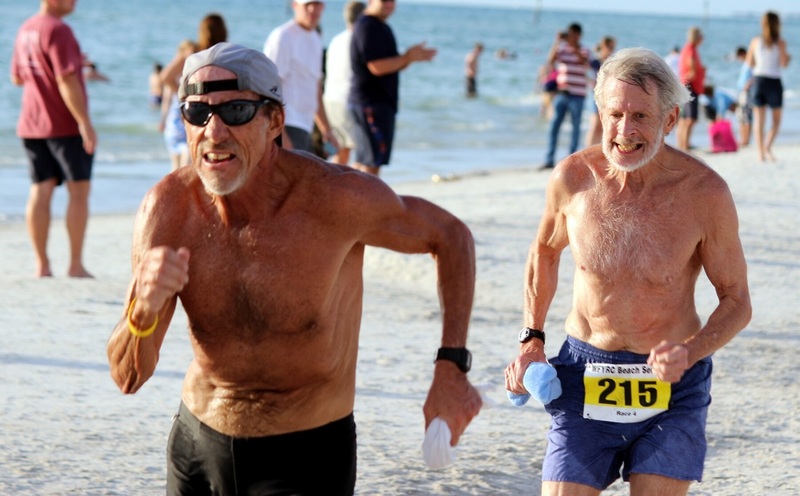 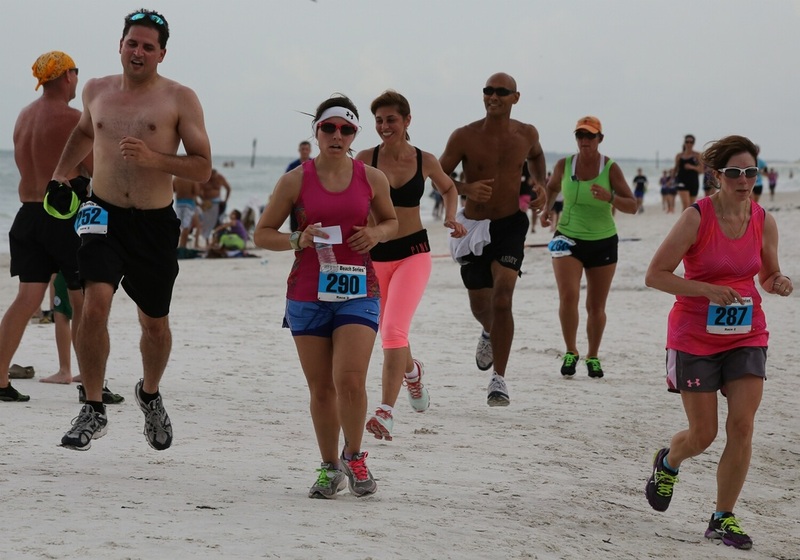 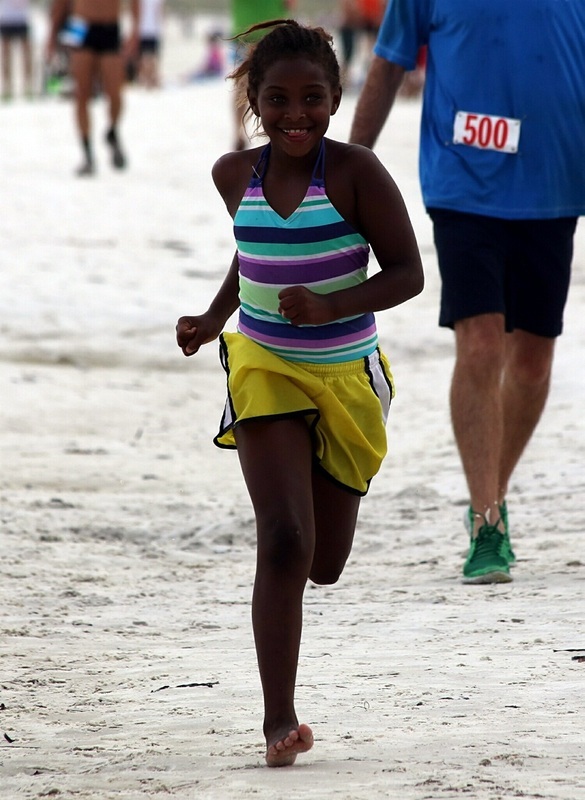 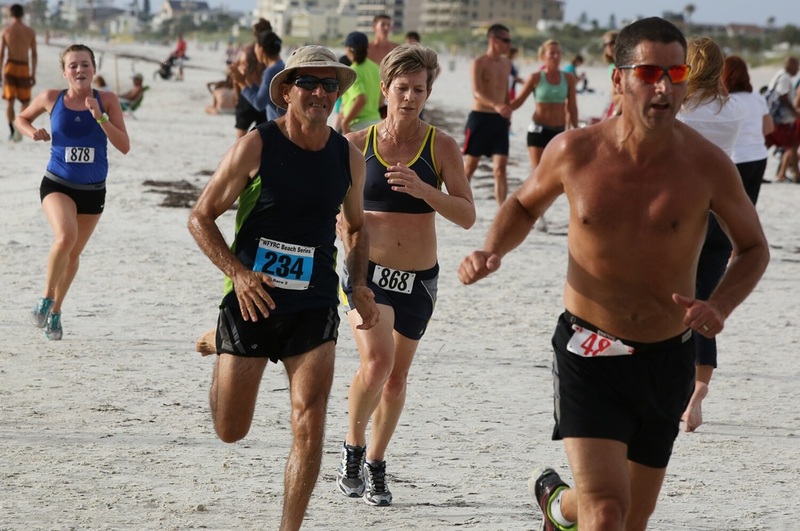 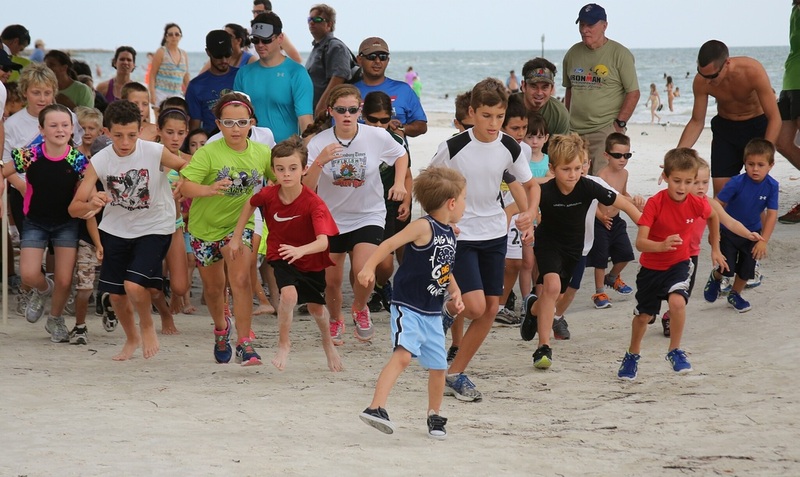 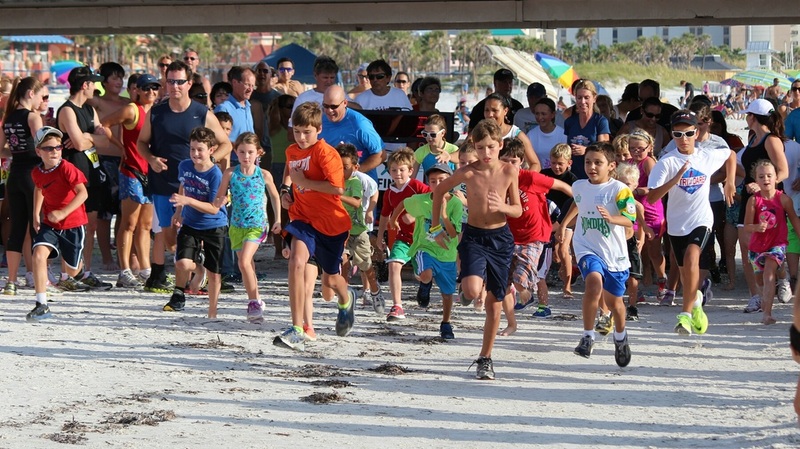 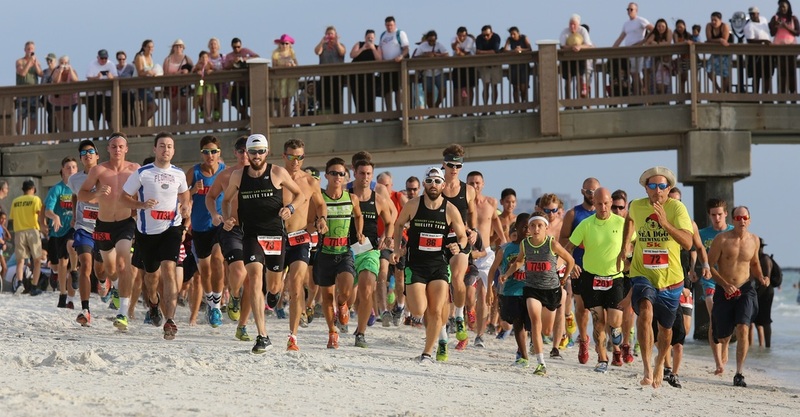 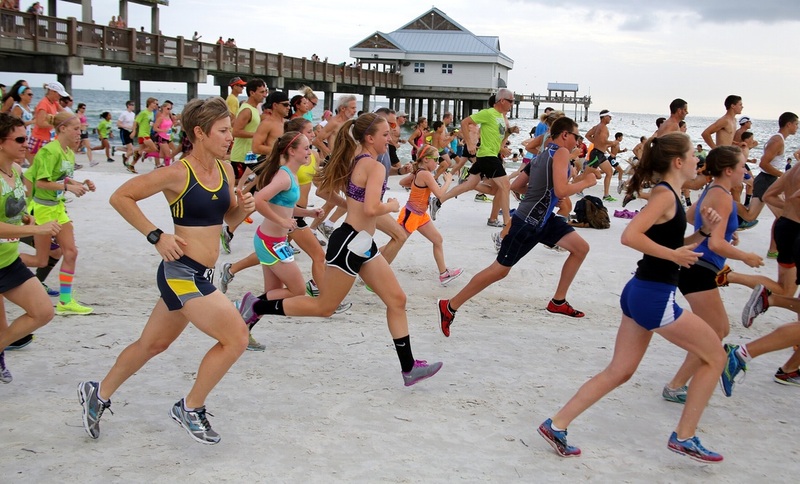 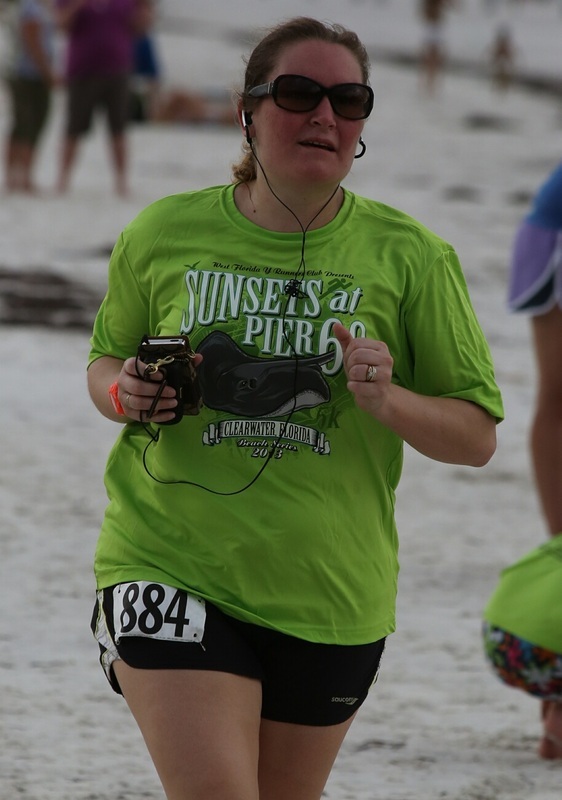 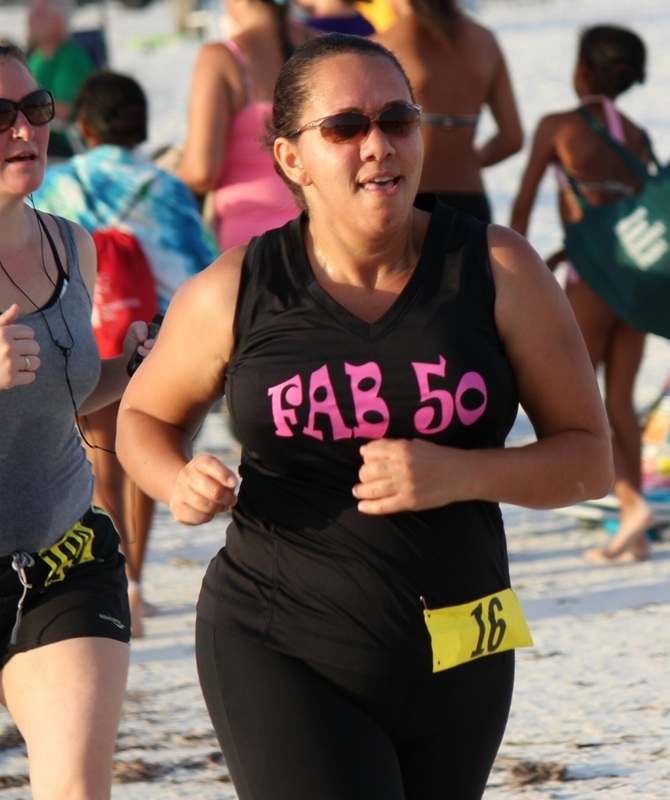 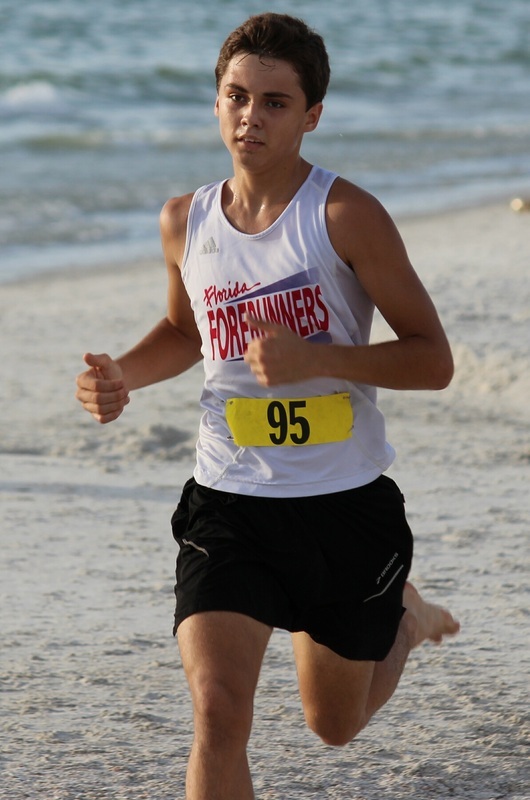 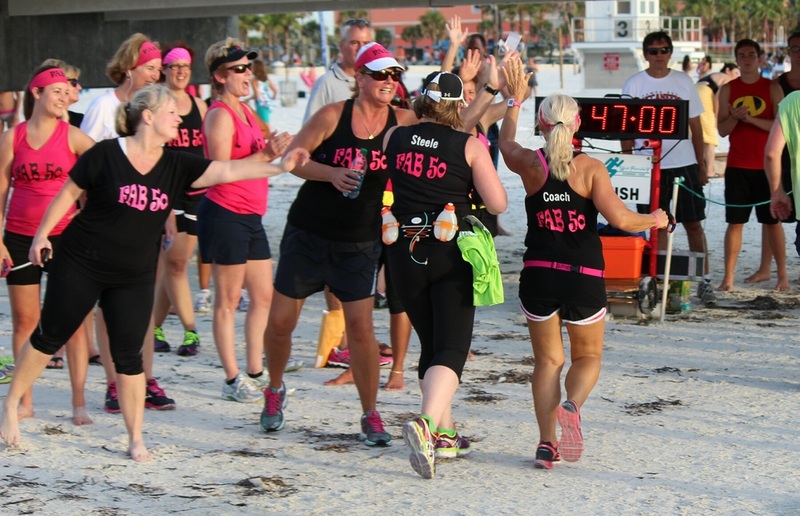 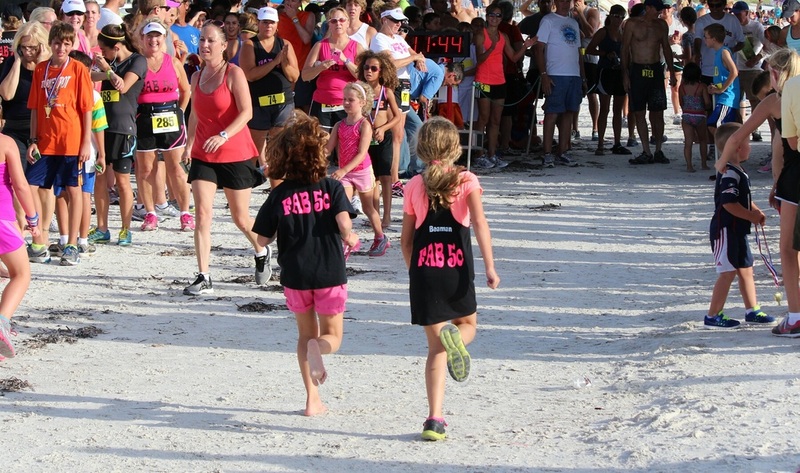 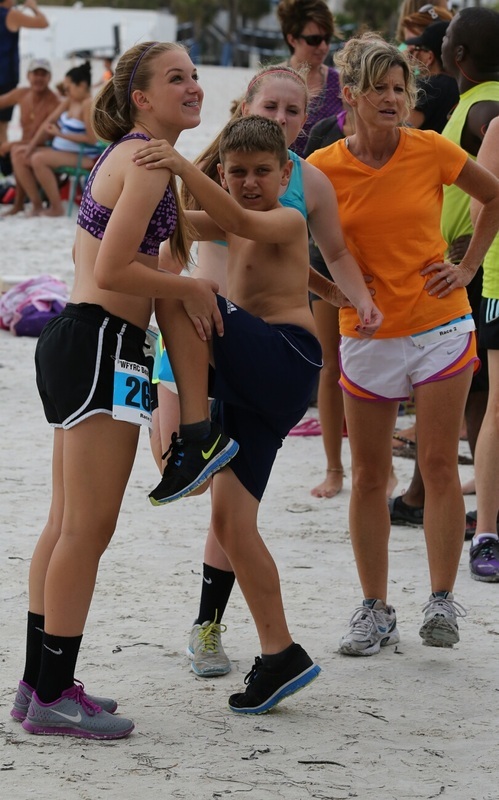 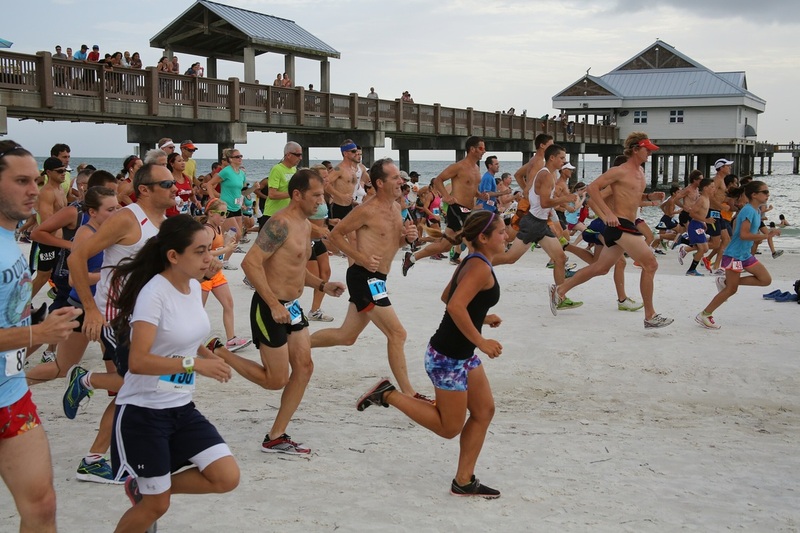 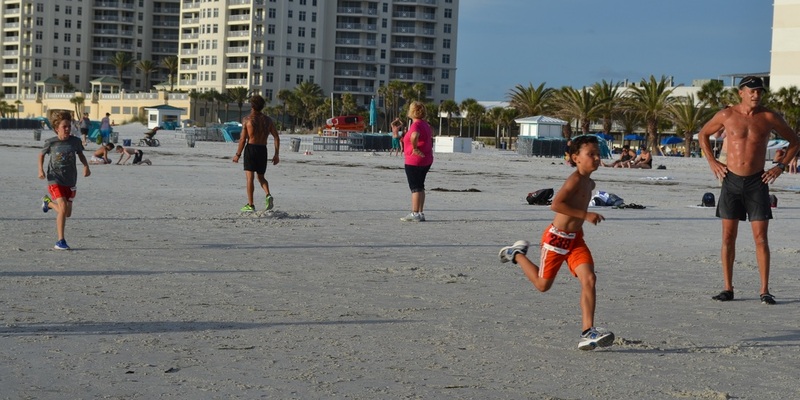 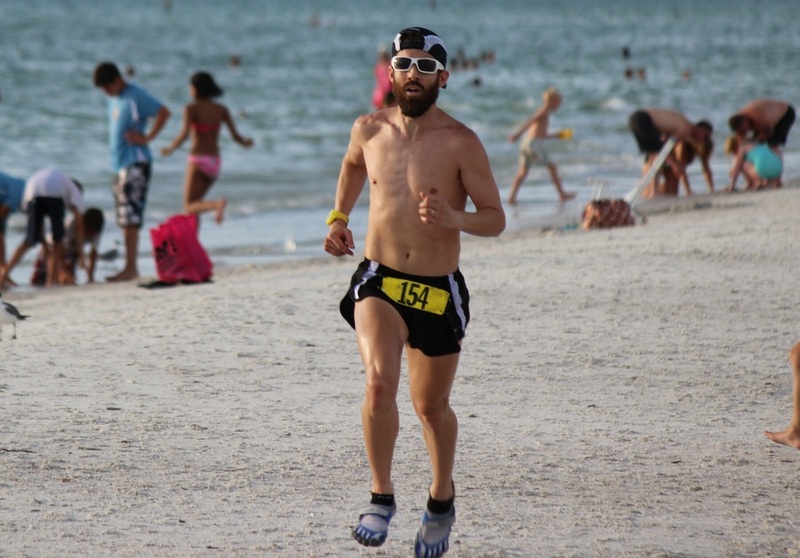 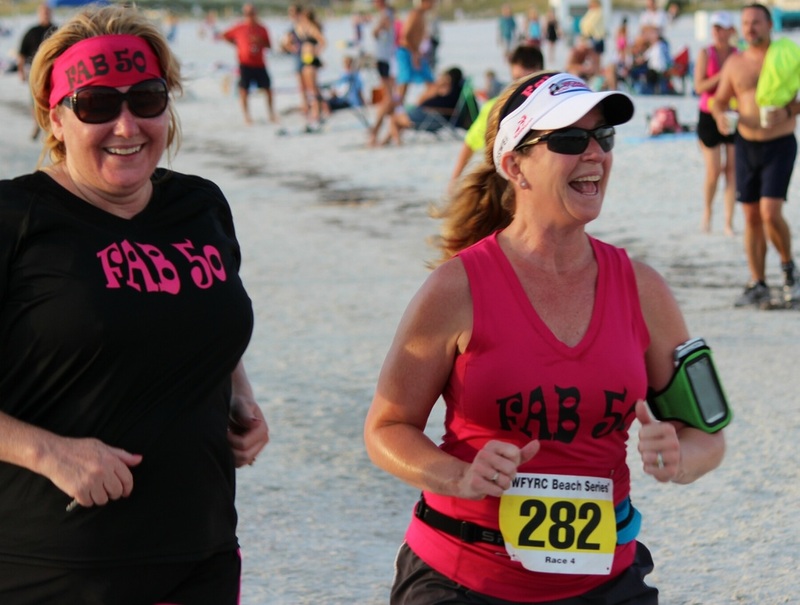 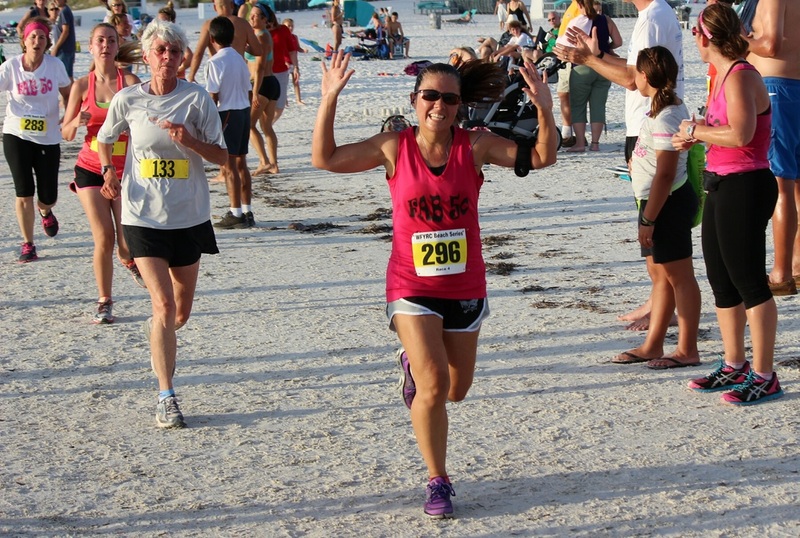 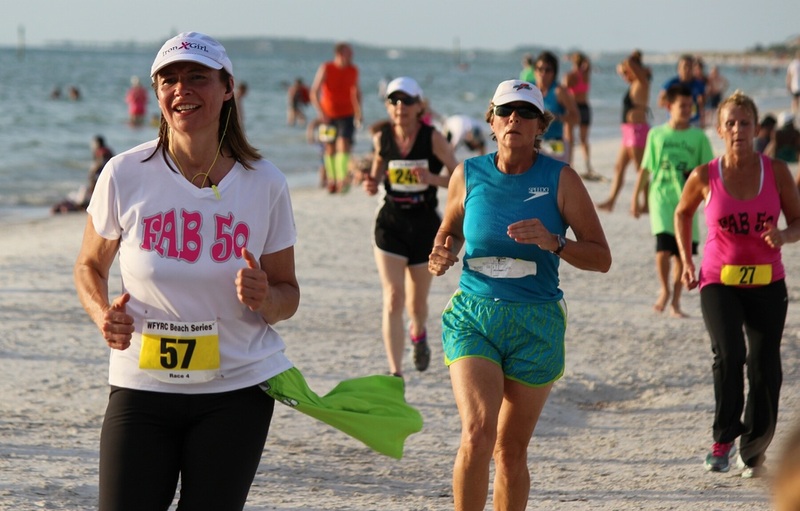 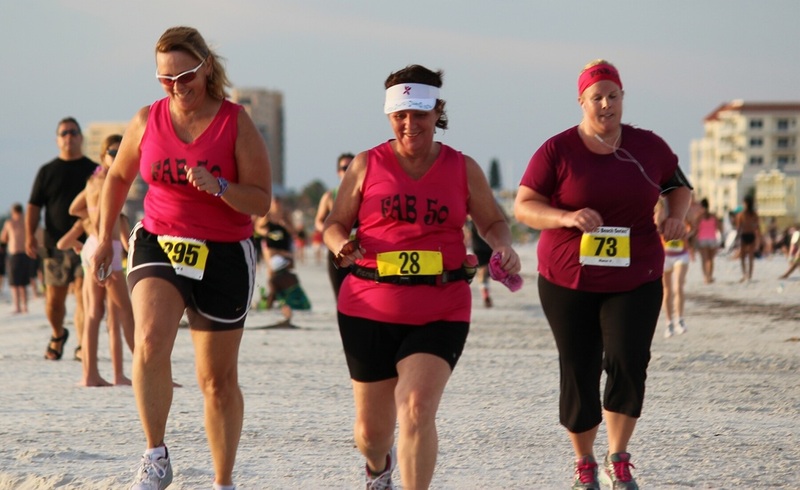 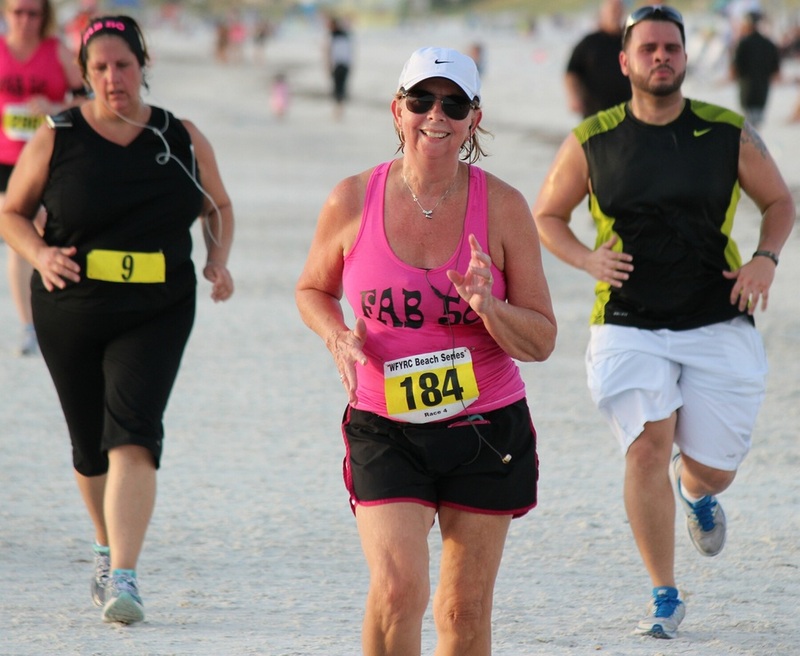 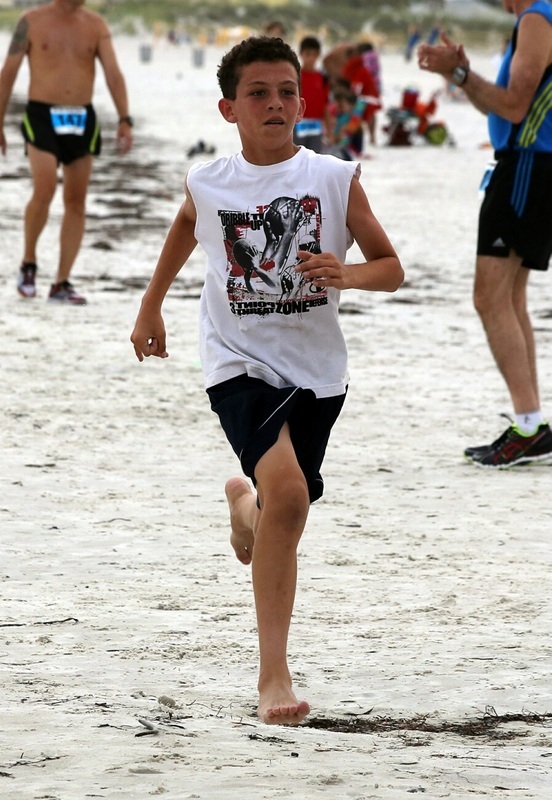 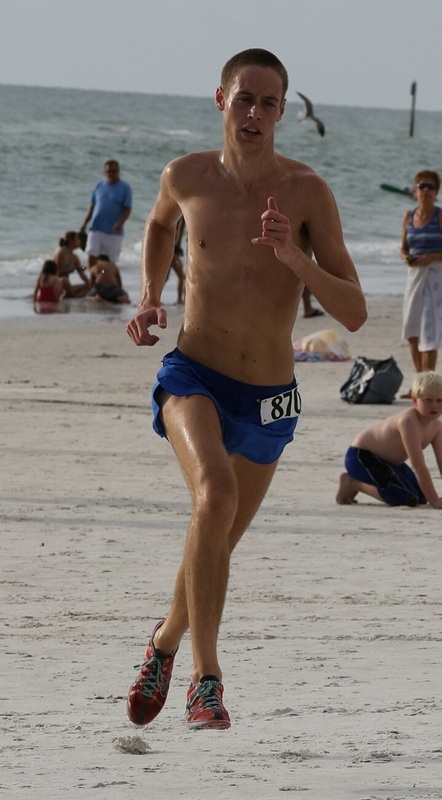 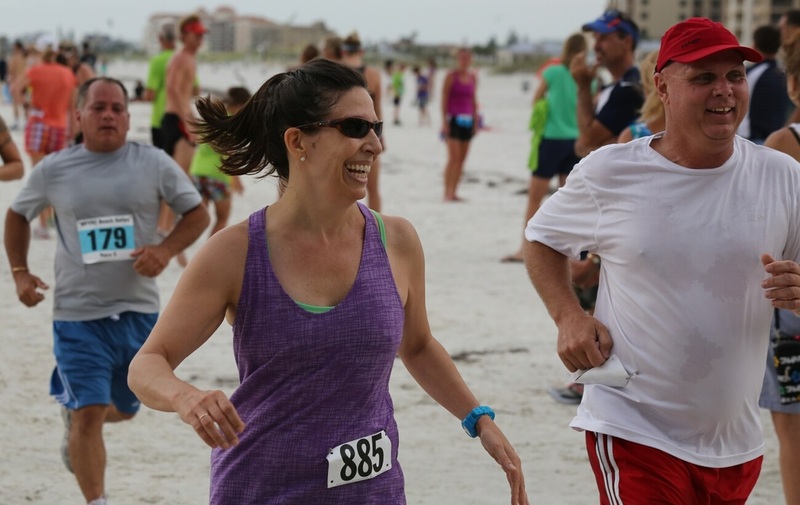 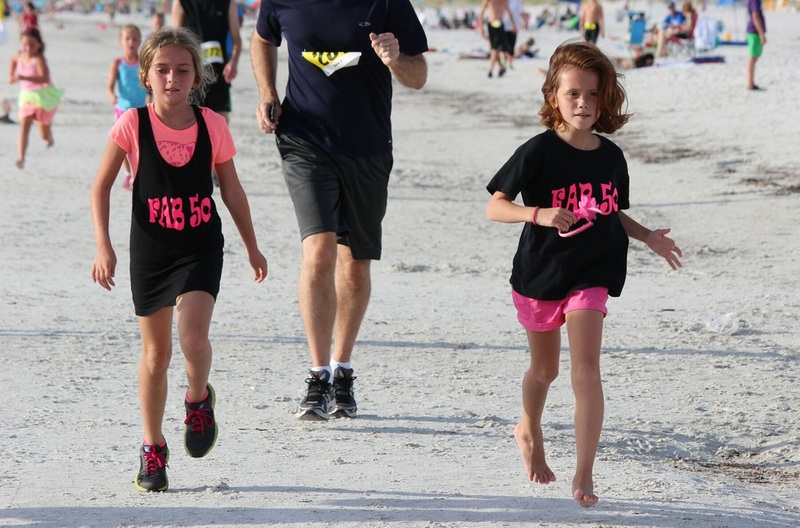 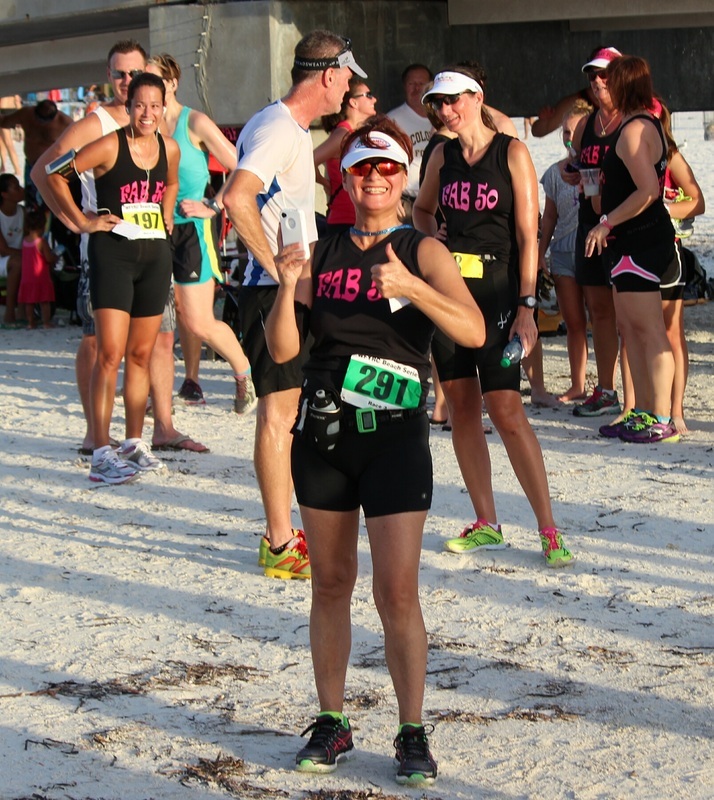 We also had a big group of Fab-50 runners come out on this final beach race of the 2013 season; they had a fantastic time. 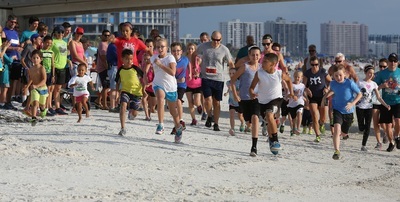 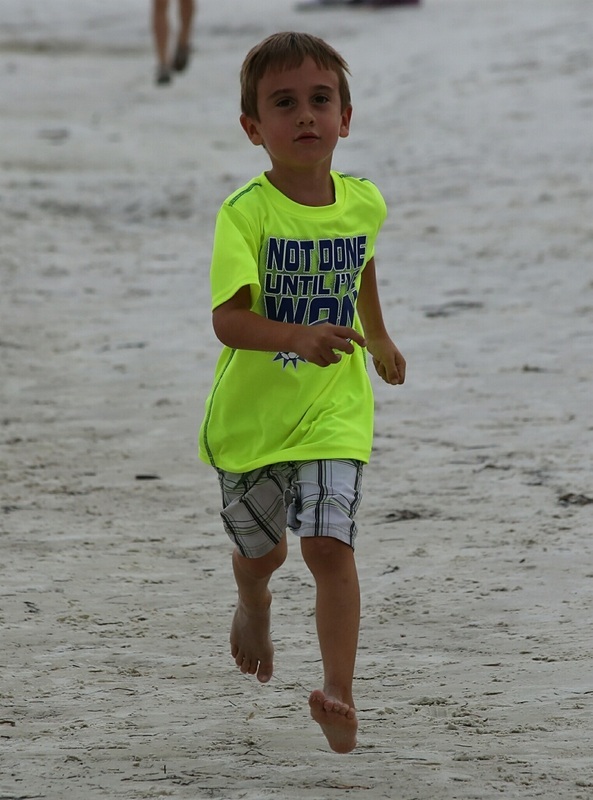 Before the 5K started, the kids participated in the 1-mile fun run.